Jackson displayed all of her razzle-dazzle—and a to-die-for low range—in Carl Nielsen’s quirky and stimulating Flute Concerto. Nothing seems to be beyond her technically … and Jackson embraces all the fun and sass of the piece. Sewell knows how to pick a soloist. Flutist Dionne Jackson wowed the crowd with lovely tone and a virtuosic technique that never left her breathless — even though the audience gasped audibly during a particularly difficult run of rapid notes in a third movement cadenza. She helped make the Ibert, which exuded a jazzy and Ravel-like mix of lyricism and tartness the highpoint of the evening. Phenomenal flute soloist Dionne Jackson drew well-deserved cheers, and the three-hour, two-intermission program inspired, and earned, a six-minute standing ovation. Barenboim led his young colleagues in a ride through Ravel’s Daphnis and Chloe Suite No. 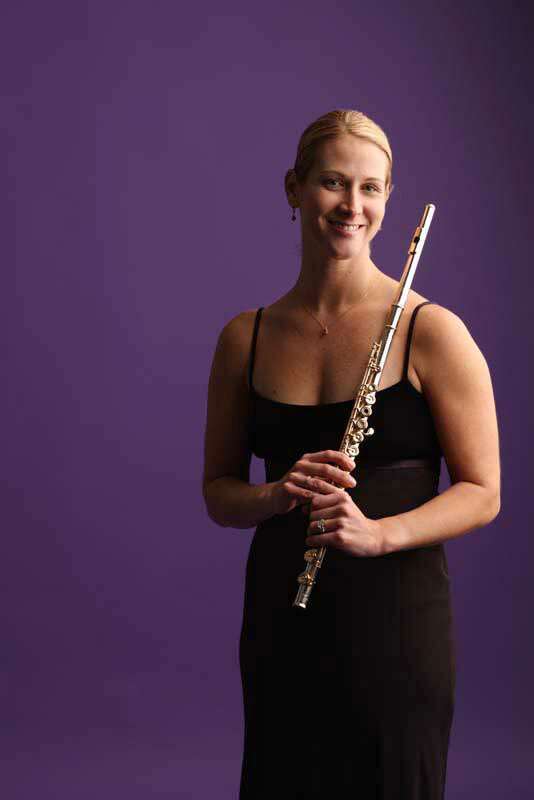 2 that rivaled the work of many a visiting professional orchestra; Dionne Jackson was the awe-inspiring flutist. Both contrasted well with the Gallic sensuality and dazzling brilliance of the Ravel Suite No. 2 from Daphnis and Chloe. There was a standing ovation and plenty of solo bows. Barenboim accepted a bouquet of flowers, and walked them back into the woodwind section, where he presented a flower to principal flutist Dionne Jackson, who played so beautifully in the Ravel. Flutist Dionne Jackson’s New York debut recital was a triumph on every level: technically, musically, and programmatically…..In a nutshell, the Jackson/Vuong duo proves beyond question that technical perfection and soul are not incompatible. What a debut! Sewell returned to the stage with guest flutist Dionne Jackson to perform Flute Concerto No. 1 in G Major (K. 313), by Wolfgang Amadeus Mozart. Throughout the Concerto I was impressed with Jackson’s technique, breath control, stage presence and her keen ability to balance the lyrical and articulate elements of the style. Un son de velours, une incroyable souplesse dans les passages acrobatiques de Copland ou de Casella: Dionne Jackson, 21 ans, selectionnée sur tout le territoire des États Unis d’Amérique comme la meilleure musicienne 1993, a fait honneur à son pays et à la musique, l’autre soir, au Métropole Palace.